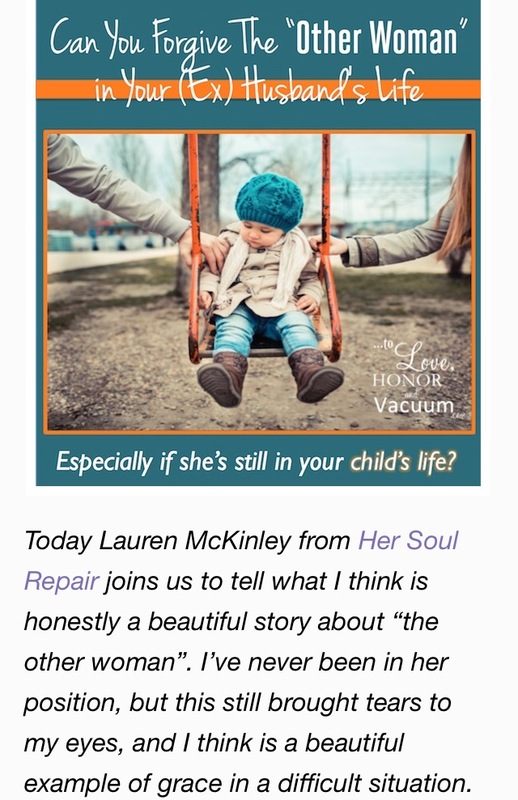 Check out the post I shared on To Love, Honor, and Vacuum. I am beyond honored to have my writing on this incredible blog! If you haven’t explored this site or Sheila Wray Gregorie’s books, carve out some time and read her stuff! Her blog and books were a HUGE help to me during my separation and divorce.